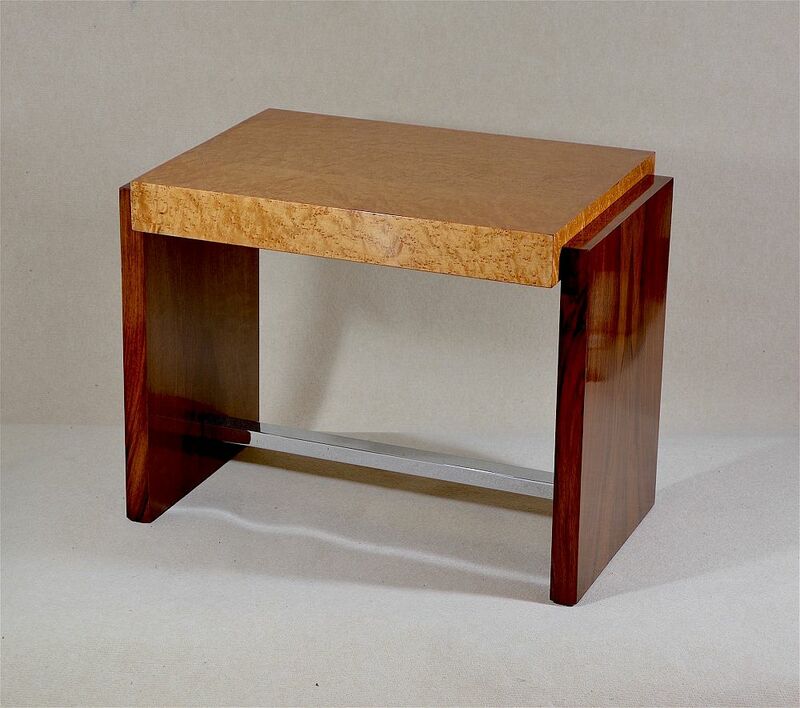 This superb yet simple occasional table was made during the Art Deco period probably in France. 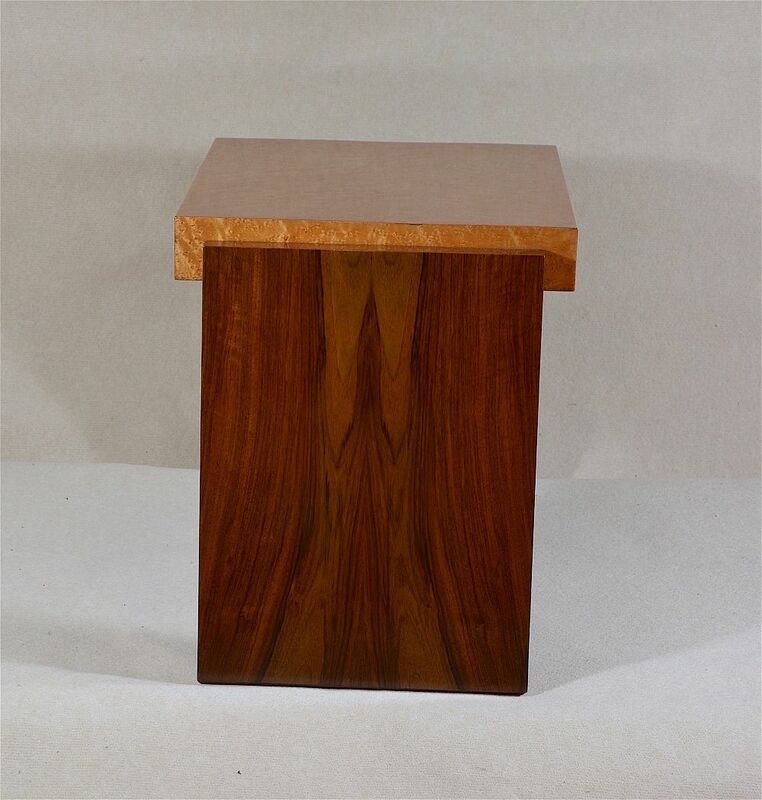 It is a very simple shape having a rectangular top of bird's eye maple veneer with straight sides of walnut veneer and a single chrome stretcher. 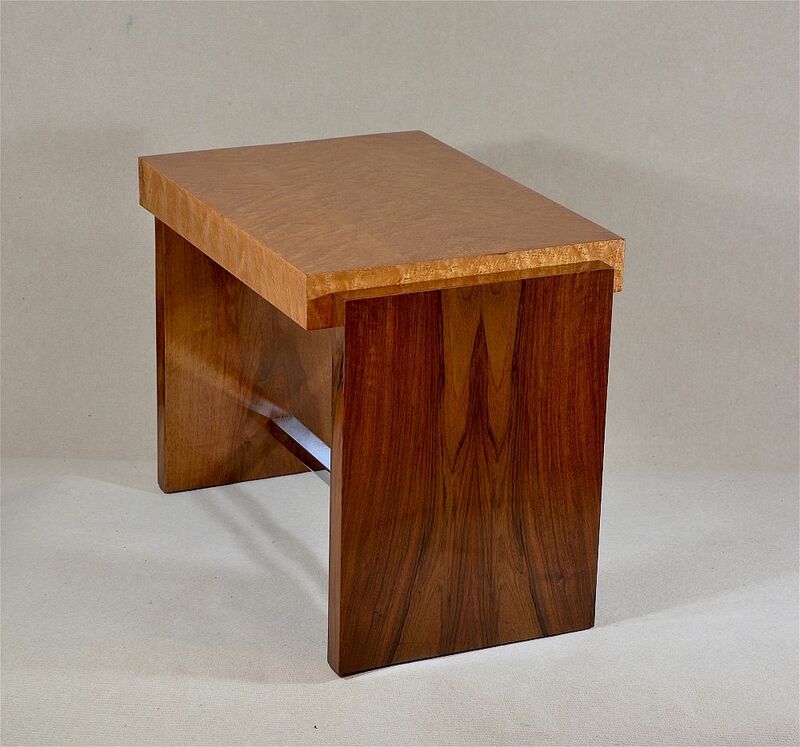 A wonderful versatile piece that would grace any home.